2014 BMW 435d xDrive review | What Car? 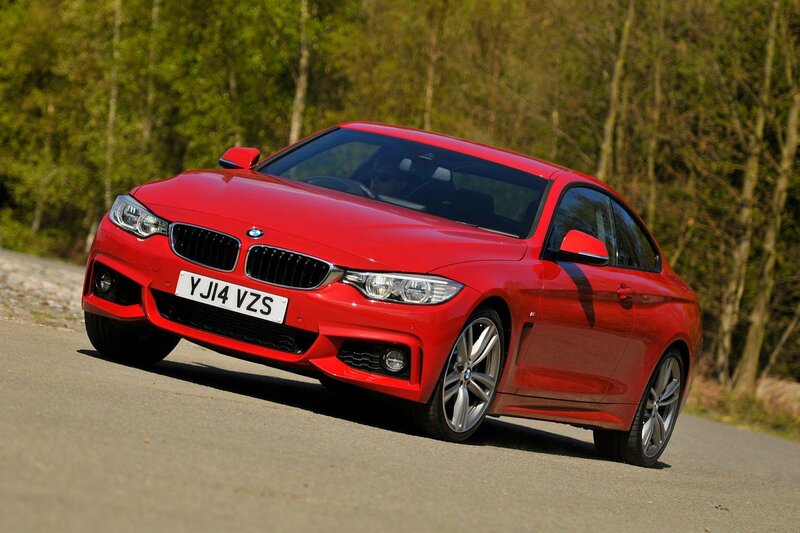 The BMW 435d xDrive is, until the M4 arrives in the summer, the range-topping version of the 4 Series. It packs a 308bhp diesel and four-wheel-drive into our favourite coupe. You get an eight-speed automatic gearbox as standard, and can choose from high-spec Luxury or M Sport trims. The latter costs £45,040, so the 435d is £2000 more expensive than our current pick of the range – the petrol 435i M Sport auto. In theory, the 435d offers lower running costs, though, so is it as fun as the 435i but in a slightly more sensible package? What’s the BMW 435d xDrive like to drive? The 435d has barely any more power than the 435i, but the immense torque advantage (170lb ft extra), four-wheel drive and standard Sport Auto gearbox mean it offers staggering straight-line performance. It isn't just quicker than a Porsche Cayman, on paper it'll keep up with a 911 Carrera. It won’t be embarrassed through corners, either, because the extra traction from the lightweight xDrive system means you it feels much more secure next to the rear-wheel-drive models. The steering is light and precise, but don’t expect much feel through the squidgy wheel rim. All the 4 Series models we’ve driven have been fitted with the optional adaptive M Sport suspension, which strikes a great balance between ride comfort and agility. Setting the rocker switch to Comfort mode gives a supple ride (even on the 435d’s optional 19-inch alloys), while Sport and Sport+ offer tauter body control and add weight to the steering. One area where the 435d can’t match the 435i is engine refinement. The petrol car makes a great noise when revved, but the 3.0-litre diesel sounds grainy. It’s not as gruff as BMW’s four-cylinder diesels, but it never makes you feel like you’re driving a sporty car. Like other 4 Series', there’s quite a bit of wind noise at speed, and the large wheels and tyres kick up plenty of road noise. What’s the BMW 435d xDrive like inside? If you’ve sat in a BMW 3 Series, then the 435d’s cabin will be decidedly familiar. That’s not a bad thing, though, because it's a classy, solid dashboard with switchgear that’s easy to use and built to last. Electrically adjustable leather seats come as standard, offering plenty of support and a wide range of adjustment for the driver and passenger. Rear space is decent, too, with a large gap to climb through and enough legroom for six-footers (as long as they slide their backsides forward in their seats). The large boot is a decent shape, and can swallow 445 litres of luggage. Both versions of the 435d xDrive come with dual-zone climate control, cruise control, front and rear parking sensors, xenon headlights, Bluetooth and DAB digital radio. BMW’s Business media pack also comes as standard, which includes its clear and intuitive sat-nav system. If you’re simply interested in a four-wheel-drive coupe, then the 420d xDrive should be first on your test drive list. Granted, it doesn’t come close to the 435d for outright pace, but it’ll still feel quick in most situations and will cost significantly less to buy and run. Mercedes’s E400 Coupe comes close to the 435d for performance, but it’s neither as good to drive, nor as comfortable. It’s more expensive, too. Also worthy of consideration is the Audi A5 3.0 TDI quattro, which, like the BMW, mates a powerful diesel with four-wheel drive. It doesn’t ride or handle as well as the 435d, though, and isn’t as spacious or well equipped. The 435d xDrive is a great all-rounder, but we’d guess that the slightly less powerful 430d xDrive (that we’ve yet to drive) probably fits that description, too – and it costs £3300 less. Still, if you’re after a hugely fast, capable coupe for less than £50k, the 435d xDrive is well worth considering.